When I turned 20, my dad made me a playlist of all the songs he felt perfectly described the transition into the second decade of life. It was the best gift I could have ever received, even though it seemed so simple. 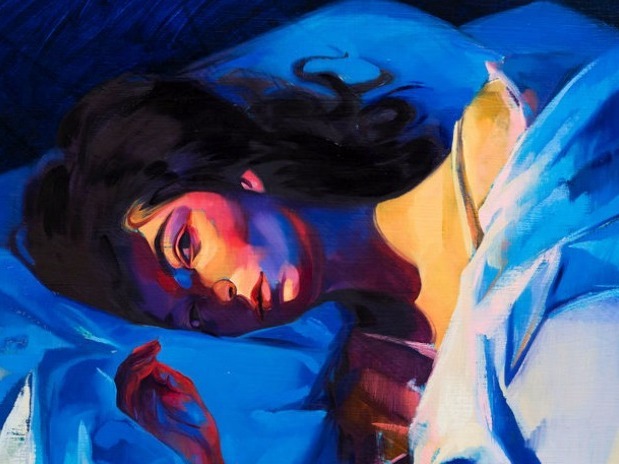 Six months later, Lorde's Melodrama feels like the perfect extension of that gift. Though the odds of us ever meeting are less than zero, I've always felt a sort of unspoken bond with Lorde, real name Ella Yelich-O'Connor. Other than the whole *groundbreaking international pop star with a chart-topping new record* thing, she and I have a lot in common. From the beginning of Lorde's career, I've been comforted by this connection. It was superficial at first - we were the same age when Pure Heroine changed the world - but slowly grew more and more meaningful. No artist captured how it felt to be 16 as well as Lorde. The four years between her albums forced us both to grow up, something I'm realizing she handled far better than I did. Entering your twenties is a strange, scary feeling no matter who you are. For an artist who was catapulted into the spotlight at such a young age, it has to feel even more confusing and terrifying. People are watching your every move, waiting for you to make even the smallest mistake. Which is completely unfair when you realize growing up is about making mistakes. Melodrama is as much about the worst nights of your life as it is about the best nights. It's blurry cab rides home at 3 a.m. after literally falling on your face in the middle of a crosswalk. It's the freedom to fail because you're young and don't know any better. The first time you see an ex with somebody else: pure misery. The first time they see you with someone else: newfound strength. From its vibrant anthems to its intimate ballads, this album makes you feel everything with an electrifying intensity. This is a record about heartbreak, and blatantly so. The minute "Green Light" dropped, we all learned about the end of Ella's first serious relationship. But Melodrama is also about healing; there's "Liability," but there's also "Liability (Reprise)." From beginning to end, it's a story of self-discovery and radical self-love. Moving so gracefully from the agony of being told "you're a little much for me" to the breathtaking affirmation that "you're not what you thought you were" is something only Lorde could do. Each time I listen to Melodrama, I learn something about myself and about Ella, the phenomenal woman behind the truly unique artist. She took time off to experience the world, then created the most exquisite map of her life and shared it with millions of people. I've spent the better part of three years selfishly complaining about the long wait between albums one and two. But I don't think the result would have been as stunning and inspiring and full if Lorde had rushed the writing of her sophomore record. She needed space to grow on this album, and she gave herself exactly that. Pure Heroine will always be the soundtrack of my high school years; I drove around my small suburban town playing "Team" and "Bravado" as loud as possible, feeling much cooler than I ever could have been. It's only fitting that I'm stumbling into adulthood with Melodrama in my ears.